Can Alcohol Cause Permanent Damage to the Body? Drug abuse has devastating effects on the mind, behavior, and relationships, but the permanent effects of drugs on the body can slowly destroy vital systems and functions, culminating in permanent disability or even death. Even legal drugs, taken to excess, can cause significant problems that cannot be easily undone; and for some illegal drugs, excessive consumption might not even be necessary for lifelong damage to occur. Individual biology, psychology and physiology, which can include current mental health status, family history, age, gender, diet, the presence of other drugs, etc. Among the long-term (and possibly permanent) effects of cocaine are a decrease in bone density and muscle mass, which can lead to osteoporosis. Cocaine suppresses appetite, so much so that it can be a cause of, and a consequence of, eating disorders. The drug significantly changes the body’s metabolism, rendering fatty foods meaningless and giving addicts much less body fat than people who don’t use cocaine. On its own, cocaine can also cause lasting damage to food and liquid intake, resulting in permanent changes to body weight (or a “profound metabolic alteration,” in the words of the Appetite journal) regardless of diet. Cocaine abuse can also induce a persistent cough in users due to the widespread damage that the substance does to the respiratory system; specifically, complications in the upper respiratory and pulmonary systems often result breathing troubles, which lead to an inadequate supply of blood to the heart muscles (a condition known as ischemia). Repeated exposure to cocaine through snorting and smoking can also cause infections and tissue death of the nasal linings and sinuses. Users can experience chronic cough, chest pain, and fatigue due to lung damage (pulmonary edema), as well as pulmonary hemorrhage (bleeding from the lungs) and a number of other conditions, such as pulmonary barotrauma, foreign body granulomas, a cocaine-related pulmonary infection, obliterative bronchiolitis, and asthma, to name some listed by the Recent Developments in Alcoholism journal. Long-term cocaine users are often easily fatigued, have trouble breathing, and regularly experience chest pains. Much research has been conducted into what cocaine abuse does to the heart and cardiovascular systems in the long-term. The American Heart Association noted that cocaine users had an “abnormal” flow of blood into the heart’s vessels, which can cause serious heart problems or even death. Unfortunately, much of this damage is not immediately detectable, so users might consume cocaine for prolonged periods of time before feeling something significantly wrong. The heart’s vessels become overdilated as a result of the cocaine abuse, which makes them pump blood much faster than normal, and this causes the usual chest pain and shortness of breath. Cocaine also raises blood pressure levels, since the heart has to work harder. Over time, the walls of blood vessels become weaker, and the heart muscle itself can become damaged from the frenzy, leading to aneurysms, heart attacks, and death. The journal of Circulation notes other long-term effects of cocaine abuse on the heart and cardiovascular systems in the long-term, such as myocardial infarctions, cardiomyopathies, endocarditis, and aortic dissection. Taking cocaine for a period of time may also exacerbate pre-existing heart conditions, hastening the damage to the heart and causing lasting problems with breathing, circulation, and blood pressure. The damage cocaine does to the brain may last the longest. Research from the University of Cambridge found that cocaine may make the brain age unnaturally fast; addicted users “ lose twice the brain volume each year,” compared to their non-using counterparts. The brain loses grey matter as part of the normal aging process, which manifests as the usual signs of old age, such as memory problems and declining cognitive abilities. But those same symptoms are found among middle-aged people who are physically and psychologically dependent on cocaine. The journal of Neuropsychopharmacology found that it was possible to undo some of the damage, but recovery of working memory was only possible within the first year of the cessation of a “moderate” cocaine habit. This was for people who receive both therapy and medication; the implication is that long-term exposure to cocaine, without any kind of medical intervention, could result in permanent cognitive decline among users. This serves as a double-edged sword, since attempting to discontinue cocaine use results in painful and distressing withdrawal effects, as the brain scrambles to regulate its systems and functioning without cocaine. Without proper support and supervision, this could compel an addict to not only resume cocaine consumption but increase it as well in a desperate attempt to alleviate withdrawal effects and recapture the initial sensation of euphoria. This serves to hasten the destruction of the neurons and the permanent damage that follows to the brain; since the neurons are responsible for inducing feelings of pleasure and seeking out rewards, the damage they suffer means that users would be unlikely to be able to experience pleasure and reward from any other source. Start the Process for a Better Tomorrow Today! Cocaine is not the only stimulant that causes permanent damage to the body. Methamphetamines do a very similar job in destroying the brain’s dopamine neurotransmitters, and repeated exposure to the drug will make it impossible for a user to experience pleasure from any other source. Given time and treatment, the dopamine receptors can heal, but damage to an addict’s cognitive centers could be lifelong. Research suggests that damage to motor coordination through chronic meth use is similar to what individuals suffering from Parkinson’s disease go through. The loss of motor coordination is one effect on the body, but the changes in brain chemistry can also lead to violent and unpredictable behavior that takes a gruesome toll on the user’s physical self. In addition to causing a massive dopamine overload, methamphetamines also force an increase in adrenaline production, which makes users feel anxious and high-strung all the time, depriving them	of sleep and rest. Users act in a hyperactive manner, fixating on a particular object or task, then rapidly finding another target for their obsession, and so on. 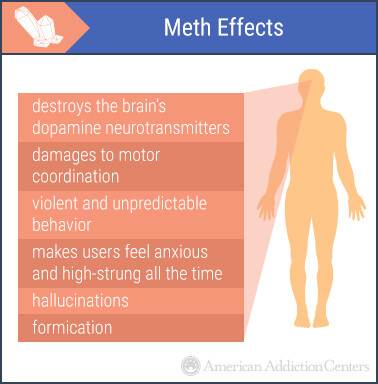 Severe meth consumption can lead to hallucinations that compel users to damage their own bodies; they feel like they have insects crawling under their skin, leading them to pick and scratch until they bleed, a condition known as formication . Other long-term, physical effects of meth include damage to blood vessels, which impedes the regular flow of blood to all parts of the body. Without the ability to heal itself, even minor injuries can become infected and worsen, and the skin itself loses many of its healing and protective properties. Many users develop small sores all over their body, which, coupled with the formication, can become open and oozing. As with most stimulants, meth causes bursts of involuntary activity, including teeth-grinding. Coupled with the poor diet and bad hygiene that are symptoms of a substance abuse problem, heavy meth addicts tend to have broken and rotting teeth. Meth dries the salivary glands, which removes the protective layer of the mouth’s natural acids; any sugary or acidic foods consumed during a meth binge further damage the teeth, causing numerous cavities. Former addicts require extensive dental work and careful dietary supervision in order to ensure that their teeth and gums grow (back) properly during recovery. While some of the effects of severe methamphetamine abuse may be cosmetic and can be reversed, what the drug does inside the body is much less forgiving. The extreme stress on blood vessels increases the risk of stroke, which can cause permanent brain damage or death. Stimulants like cocaine and meth are infamous for how they blitz the brain into producing dopamine, but another drug that can impact the production and function of the neurotransmitter in the brain is marijuana. Tetrahydrocannabinol, the active chemical compound in marijuana, also triggers the release of dopamine, which is why marijuana smokers feel good and satisfied about the act of smoking marijuana or consuming edible marijuana products. However, excessive, long-term smoking has been shown to lead to dopamine deficits in the key regions of the brain, leading researchers to theorize that smoking marijuana to the point of addiction may cause damage to the brain that is similar in nature to what even small amounts of cocaine can do. Such damage not only targets the dopamine neurotransmitters but also the grey matter centers of the brain, resulting in cognitive decline. Scientists warn that the earlier pot smoking starts, the greater the impact of THC on the still-developing brain (the frontal lobe, which regulates cognitive and reasoning skills, is not fully formed until the age of 25), and the problems this causes could be lifelong. A neuroscientist in Boston found that teenagers and young adults who smoked marijuana acted more impulsively than their peers (which is in line with other research), but a follow-up study found that people who smoked chronically and recreationally struggled with thinking and higher thought requirements, especially if those people began their habit early. Marijuana can also cause other forms of long-term damage to the body. The smoke in marijuana, for example, consists of a variety of toxic chemicals, including hydrogen cyanide and ammonia, which can tear and wear away at the bronchial passages in the lungs. As with cocaine abusers, chronic pot smokers may suffer from a persistent cough, which can harm the lungs and respiratory passages itself, as well as struggle with breathing, fatigue, and excess mucus secretion. Tetrahydrocannabinol can make the heart increase its rate by 50 beats per minute, a state that can persist for three hours; for smokers who are prone to heart disease or have other health complications, this could induce a heart attack and long-lasting damage to the heart. The Journal of the American Heart Association warns that even young people with no family history of heart trouble could suffer from heart rhythm disorders if they smoke enough marijuana to send their hearts into a frenzy. Even alcohol, the most innocuous and popular drug of all, can seriously damage the body if abused. Alcohol changes the brain’s internal communication networks, causing disruptions in mood and behavior, and making it harder to think and concentrate. An extreme example of this is a condition known as Korsakoff’s syndrome, which is a brain disorder that develops when the brain’s chemical composition is so drastically destroyed by long-term alcohol abuse, that addicts lose control over their motor system, have difficulty walking, and experience problems with their vision. Korsakoff’s syndrome is caused a deficiency of thiamine (vitamin B1) in the brain and the central nervous system. The body does not produce thiamine, so it is found in foods like pork and yeast. Alcoholics tend to have poor nutrition, as a result of their environment being corrupted by the addiction, as well as due the damage that a constant flow of alcohol does to the stomach lining; this, in turn, causes frequent vomiting, which further damages the stomach and empties the body of what little nutrients it has left. The end result is that chronic drinkers do not get enough thiamine in their diet. As the situation deteriorates, Korsakoff’s syndrome sets in. Similar to cocaine, egregious alcohol consumption can also damage the heart. Conditions include alcoholic cardiomyopathy, a form of heart disease where the organ is progressively weakened and its muscles thinned by constant alcohol consumption. This affects the efficiency of the heart’s blood-pumping mechanisms, causing a lack of flow to the body’s major organs and systems. At worst, this can cause heart failure and a number of other lethal conditions. 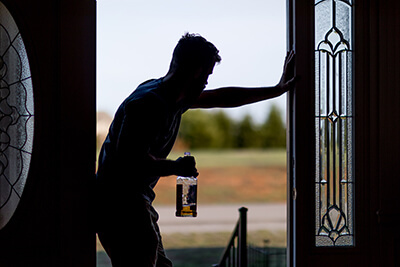 People who get diagnosed with alcoholic cardiomyopathy (men more than women, but women as well) tend to have a history of abusive alcohol consumption over a period of many years. The condition does not always cause symptoms; when symptoms materialize, they are similar to those of heart failure, such as fatigue, difficulty breathing, and swelling in the legs and feet , which is caused by fluid accumulation, as the result of the heart not being able to properly pump out blood to the extremities. Blood has to return to the heart through the veins, leading to fluid accumulating in the stomach and lower limbs, causing swelling. Further alcohol damage to the brain can have permanent effects on the body, including the possibility of an alcohol-induced stroke. A study published in the journal Stroke suggested that too much alcohol in middle age (more than two drinks a day) increases the chance of a stroke by 34 percent, the same degree that high blood pressure or diabetes would. People who drink too much in their 50s and 60s have a greater chance of suffering strokes much earlier than those in the same age who drink lightly or not at all. Consuming more than two drinks every day “can shorten time to stroke by about five years,” said the lead author of the Stroke study. Researchers theorized that since alcohol thins blood, the risk for a hemorrhagic stroke (where a blood vessel breaks inside the brain) goes up. The more alcohol in the blood, the greater the chances of bleeding in the brain. Of the two kinds of strokes that can occur (ischemic and hemorrhagic), hemorrhagic strokes are the more serious; in addition to the blood supply being interrupted, the internal bleeding can also increase pressure in the cranium, which can, in turn, physically damage brain tissue. The permanent effects of alcohol abuse on the liver have been well documented. As the second-largest organ in the body, a healthy liver does many things, including process food and liquid into energy and nutrients for the rest of the body, and it filters out harmful substances in the blood. Too much alcohol can damage and even destroy the cells of the liver. Under normal circumstances, the liver simply breaks down alcohol for removal by the body, but too much alcohol overwhelms the liver, causing a number of conditions that threaten the rest of the body, such as alcoholic fatty liver disease, alcoholic hepatitis, and alcoholic cirrhosis. Alcoholic fatty liver disease develops as the result of fat being deposited in the liver cells. Symptoms are rare, but when they occur, they manifest as fatigue, weakness, and pain in the abdomen. Alcoholic fatty liver disease can be reversed by carefully discontinuing alcohol consumption under medical supervision. Alcoholic hepatitis is the result of inflammation and minor scarring of the liver, also induced by the liver having to process more alcohol than it can. Symptoms can include a loss of appetite and vomiting (which contribute to the danger of Korsakoff’s syndrome), as well as nausea, stomach pain, fever, and jaundice. As many as 35 percent of heavy drinkers go on to develop alcoholic hepatitis, which can present in forms that are either mild or severe. Mild alcoholic hepatitis can be reversed with gradually weaning off alcoholic consumption, but the severe form of the condition may onset without warning, and it can lead to emergency complications, such as liver failure and ultimately death. Lastly, alcoholic cirrhosis presents as the most advanced form of injury that the liver can sustain due to alcohol abuse. The scarring and disruption to the normal structure of the liver is severe; the soft tissue of a healthy liver is replaced by hard scar tissue. 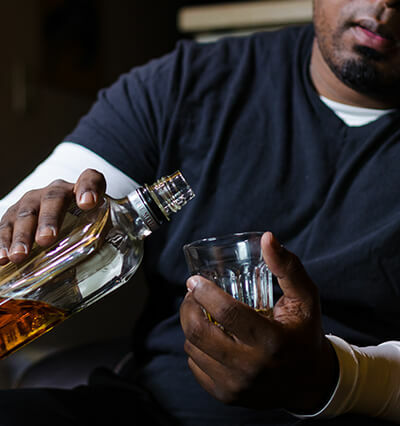 Only between 10 percent and 20 percent of heavy drinkers develop alcoholic cirrhosis, but these are the people who drink to the most dangerous extreme. Even abstinence cannot reverse cirrhosis, making the damage done to the liver permanent; however, abstinence and treatment can prevent further damage from occurring, but some symptoms (similar to those of severe alcoholic hepatitis) may continue for life. If a person who drinks too much is going to develop alcohol-related liver disease, the progression will start with fatty liver disease, move to alcoholic hepatitis, and culminate with alcoholic cirrhosis. However, it is possible for some heavy drinkers to develop cirrhosis first, bypassing the hepatitis stage. Some drinkers may develop alcoholic hepatitis but never show the symptoms of it. Non-alcoholic liver diseases, such as chronic hepatitis C, may exacerbate the damage done to the liver by excessive alcohol consumption. The likelihood of developing an alcohol-related liver disease that might permanently damage the liver depends on a number of different factors, such as a family history of liver problems and substance abuse, diet, age, gender, lifestyle, and other medical conditions or mental health conditions that might contribute to the development of an alcohol use disorder. However alcohol-related liver disease presents, the complications that arise can be life-threatening. Such complications include internal bleeding (usually from the stomach or also from the esophagus, which can present as coughing up blood), an enlarged spleen, kidney failure, and liver cancer. A professor in neurocognitive development writes in Scientific American that heavy alcohol consumption changes the structure and composition of the brain and, by extension, the body. There is no telling how much can be recovered even after years of abstinence. 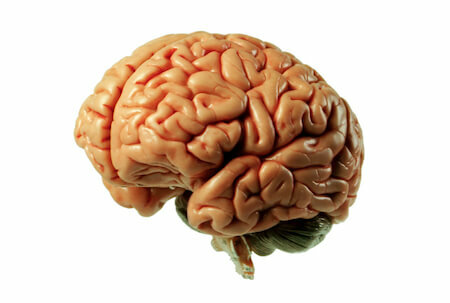 Some studies have suggested affected areas of the brain can “return to their original volume and repair neural connections” if sobriety is maintained, which would bode well for the physical impact of alcoholism; however, other research has found “sustained injury in certain areas,” suggesting that even a full recovery can only have limited effectiveness in repairing the body after long-term abuse.